Eagle Rock bushwalk, Royal National Park. Maps, directions, photos. Eagle Rock mountain bike ride or bushwalk is one of the 3 great wonders of the Royal National Park. 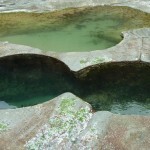 It’s the less known of the other 2, the figure 8 pools and the wedding cake rock. Having said that it’s my personal favorite. The photo’s in the gallery and youtube click are mountain biking down the Curra Moors trail. The ride on the trail is pretty good in it’s self. As you ride down you can start to see the ocean as a back ground drop. The ocean against the mountain bike track look superb and you can smell the ocean as you get closer to it. There’s a small stream next to Eagle Rock that drops off into the ocean. I’ve been down there when there was an off shore wind. The mist that is generated from the waterfall gives Eagle Rock a very mystical feel. I’ve also walked from Garie Beach to get to Eagle Rock. This is a great part of the Royal Coastal walk. Though I don’t think there are too many bad sections of the Coastal walk so you can’t go wrong walking there. I’ve put a few photo’s in the gallery and put together a youtube clip so you can check it out. As always the pictures don’t do the place justice and it’s far better being there in person. There’s a number of ways you can get to this location. Via the Curra Moors trail. Drive down Sir Bertram Stevens Drive. Go past Wattamolla Drive and you’ll come across the Curra Moors Trail in just over 1 km. You can either walk or ride a mountain bike to Eagle Rock. 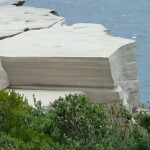 You’ll need to dismount your mountain bike once you get to the Royal National Park coastal track. It’s only a short distance to Eagle Rock from there. You can bushwalk from Wattamolla. It’s approximately an 8km return walk. You can bushwalk from Garie Beach. Again it’s approximately an 8km return walk. So you have a few different options up your sleeve. Eagle Rock, Royal National Park Photo Gallery. 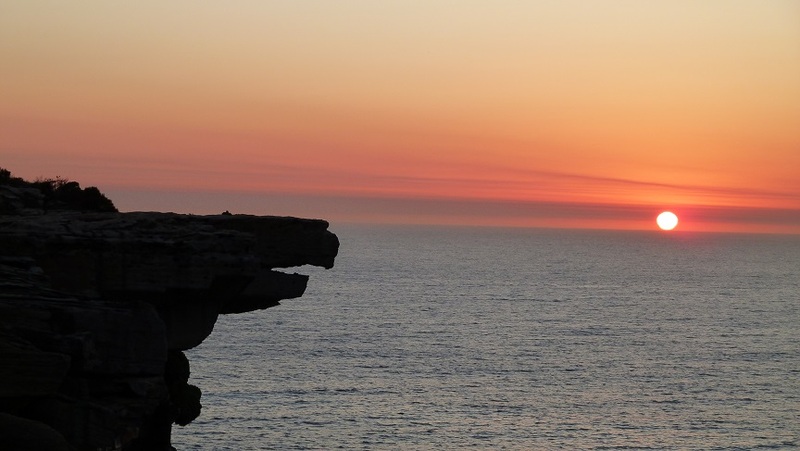 The youtube clip below is of Eagle Rock, Royal National Park at sunrise.